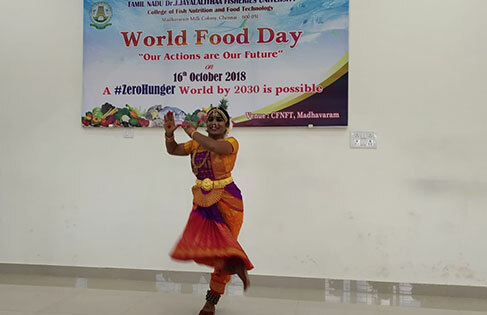 World Food Day was celebrated in College of Fish Nutrition and Food Technology, Madhavaram, Chennai on 16.10.2018. The students of I year B.Tech (Food Technology) 2018-19 batch participated in a series of competitive events to mark this occasion. The theme of the year is “Our actions are our future” working towards Zero hunger. 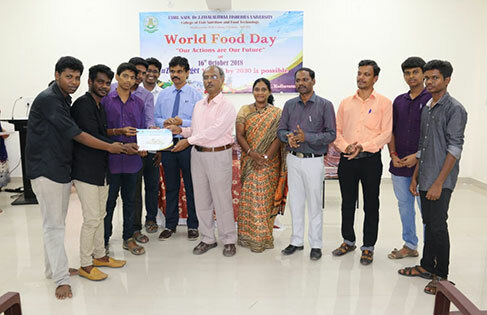 Our Vice-Chancellor, Prof.S.Felix sent best wishes message to the students on the occasion of World Food Day which was conveyed to the students in the function. 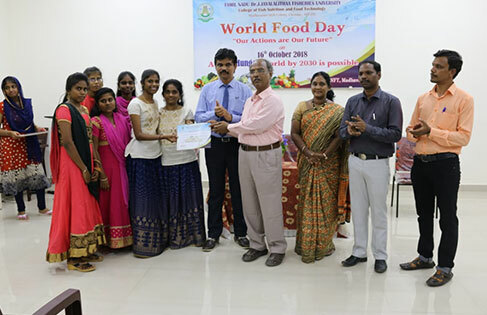 Dr.R.Senthiladeepan, Director, TNJFU Academy while delivering the chief guest address, highlighted the importance of food and significance of World Food Day. The chief guest distributed certificates to the winners of the different events. 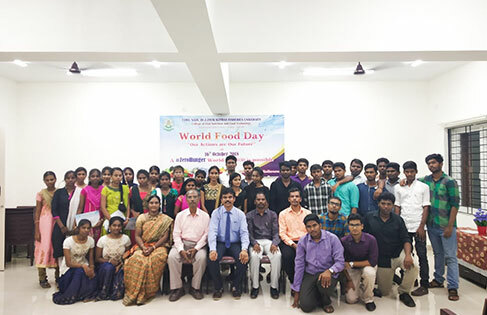 Dr.N.Felix, Dean in-charge of College of Fish Nutrition and Food Technology delivered presidential address and emphasised how students can help in achieving Zero hunger. Dr.Brimapureswaran, Assistant Professor and Dr.Mathivanan, Teaching Assistant proposed welcome address and vote of thanks respectively.